I just returned to SoCal after having attended the AFC Divisional contest between the Steelers and Chargers ~ I attempted to do some live blogging at the game, however a less than ideal cellphone battery and the imminent threat of frostbite kept from delivering on that idea. The fact that I am headed back to Pittsburgh to attend the AFC Championship game will probably impact my postings, however I want to list a few random facts that I found of interest. This will be the third Steelers game I have attended in person this season. This Sunday's game is the the third meeting this season between Baltimore and the Steelers. This Sunday will be Ben Roethlisberger's third AFC Championship game (he is 1-1 in the first two). 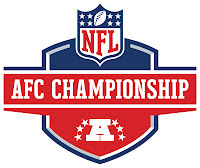 This Sunday will by my third AFC Championship game (I am 0-2). This Sunday will be the third AFC Championship game in the history of Heinz Field (the Steelers are 0-2 in the previous two games).